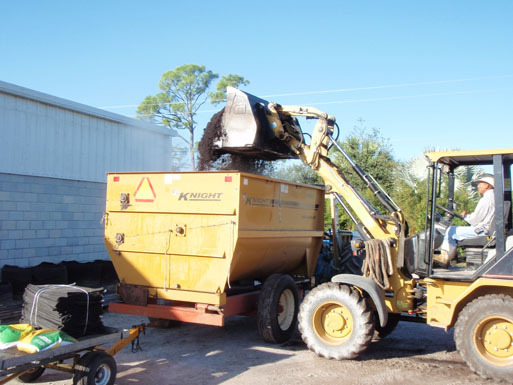 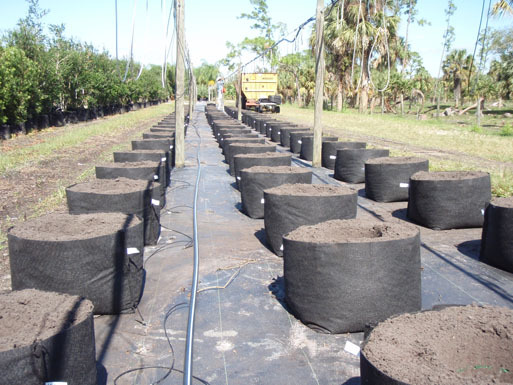 With the JackPot's superior drainage, the need for expensive pre-mixed soils is eliminated. Here, a Botanics Wholesale employee is starting out with a yard of topsoil. 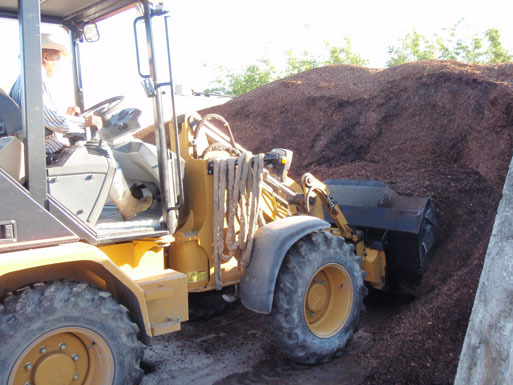 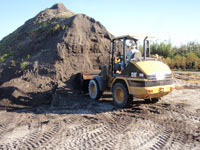 The topsoil is then dumped into their modified "Auggie." 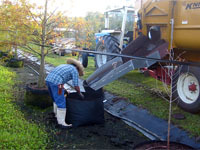 Then a yard of pine bark is added. 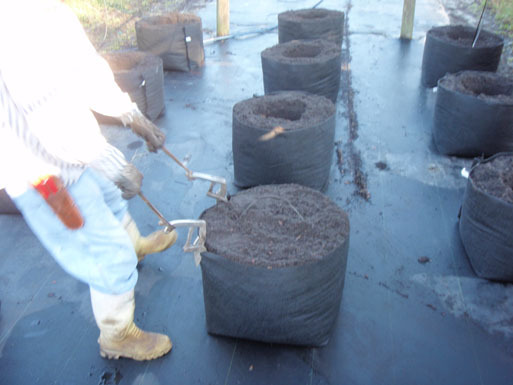 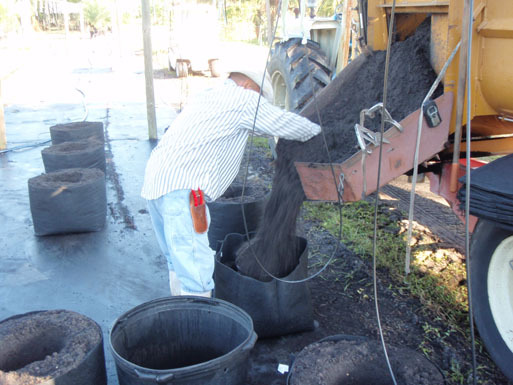 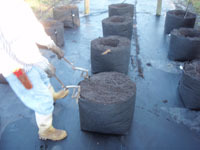 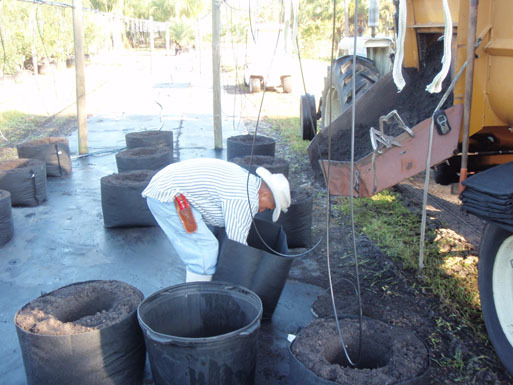 Preparing the JackPot to be filled; sometimes using an old plastic pot of similar diameter with the bottom removed as a support (in this case using a 25-gallon plastic pot for a 30-gallon JackPot), allowing one employee to accomplish the fill. 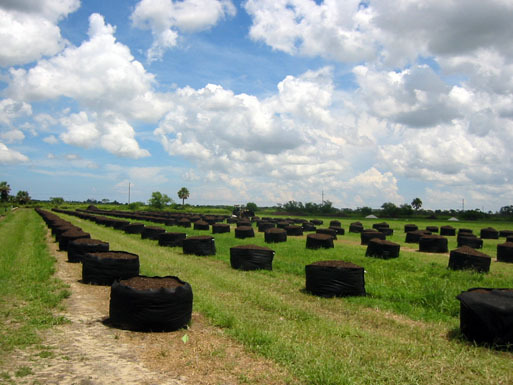 A block of JackPots ready to be planted. 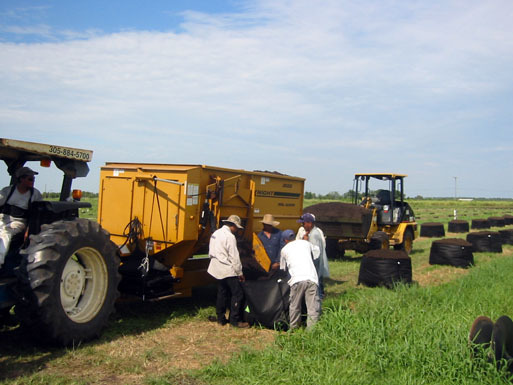 Filling 200-gallon JackPots in the field and loading the Auggie from the rear.